Our extended family lives a 14 hour drive away and every year, we become better and better at mastering the art of the road trip. Through trial and error (and error and error and error), we seem to improve each time. 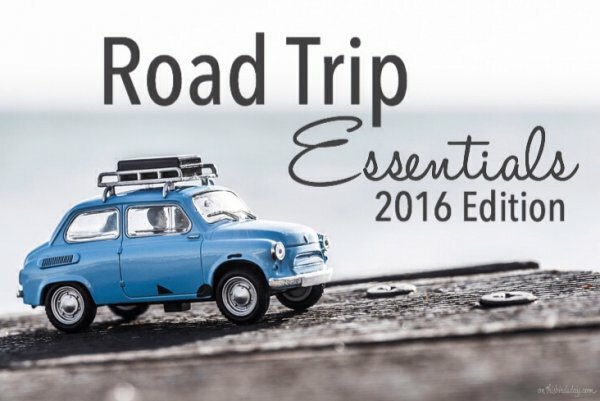 This year, our girls are getting a little older so our old list of road trip necessities for young kids needs to be updated a bit. While our general tips for road trips with kids post still holds a lot of great ideas, growing kids need a growing list of items for them and the whole family. Summer is underway, and if you are heading out on the road with your family in tow, check out our slightly bigger kid list of suggestions. Our last trip back to Winnipeg left me with a sore back from constantly turning around to get this and get that. 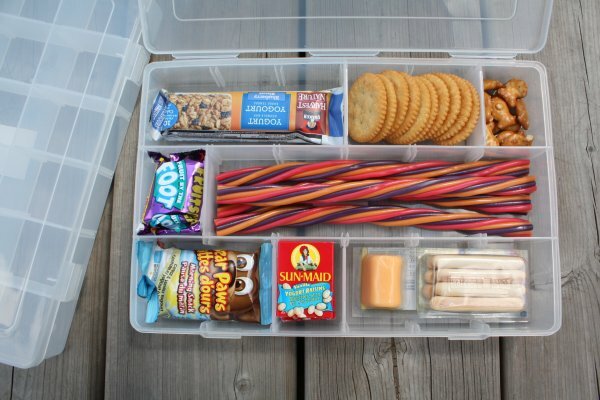 If your kids are able to serve themselves, but you don’t want them tearing into a large bag of crackers, then make them their own snack kits. 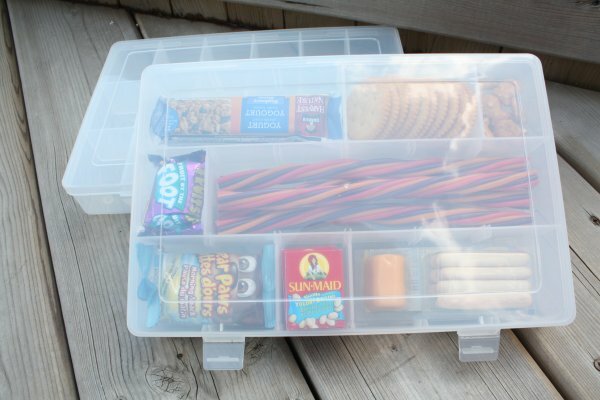 Pictured here, I used a bead container that has adjustable compartments so larger items can fit in too. This will let you set a serving size and give each child the same amount so there are no fights because someone got more (don’t even tell me you’ve never heard that argument before). This also gives you some control while still allowing your kids to make choices for themselves. When snack time comes around, you can give the option of choosing three things. Or choosing two from the bottom row and one from the middle row, etc. This also buys you some time as kids ponder over the possibilities. 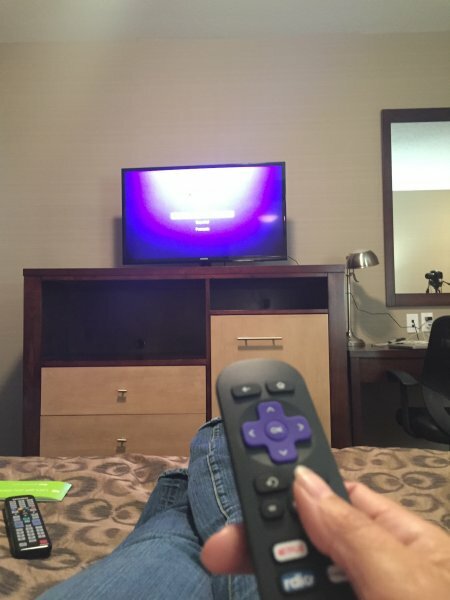 If your road trip includes time spent in a hotel, then you understand how frustrating it can be to have limited access to television shows. This becomes even more exacerbated when you have kids and your viewing options are Law & Order (not that there’s anything wrong with that), HGTV, Sports, and Caillou (there’s totally something wrong with that). It’s so compact and easy. Just plug the small purple USB stick into your HDTV and follow the instructions. Just don’t forget the stick in the hotel. 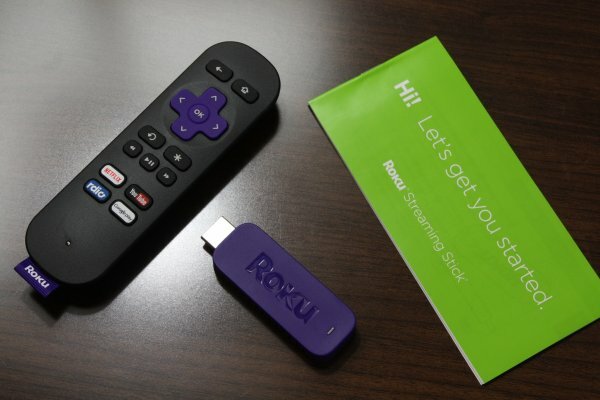 The ROKU Streaming Stick hooks up to most newer hotel room HDTVs through a USB port and, with internet access, turns your hotel HDTV into a streaming machine where you can sign in to your Netflix account and more (it streams 1400+ channels including YouTube, Cineplex Store, Vevo, Crackle, Spotify, Google Play and more). Loading up my Netflix in the hotel. Now when you stay over night, kids can have access to the shows they love which can buy you some time to get organized and settled. Note: the ROKU Streaming Stick (ARV $59.99) is available at London Drugs and other electronics stores across Canada. The stick can also be used at home and is great for dorm rooms, etc. Foster a love of travel with these books that will keep kids entertained and looking forward to the next day’s adventure. These new releases from Lonely Planet Kids focus on the tiny traveler and there is something for everyone. Boredom Buster- Games for the road (ARV $12US): with 124 pages with games that you can play as a group, on teams or on your own, this will keep minds occupied for that final push to your next destination. 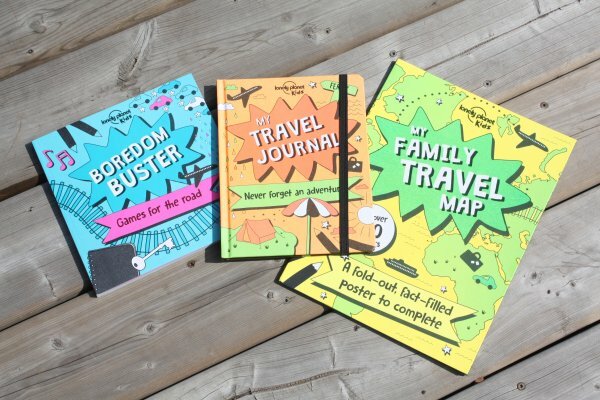 My Travel Journal (ARV $13US): journals are a great way for kids to remember the things they experienced and how they were impacted by different moments during their trip. This hard cover journal suggests topics that your child can include such as drawings, what music they listened to, favourite meals, who they met, what they saw, how they felt and more. My eight year old loves to write and has claimed this as her own. 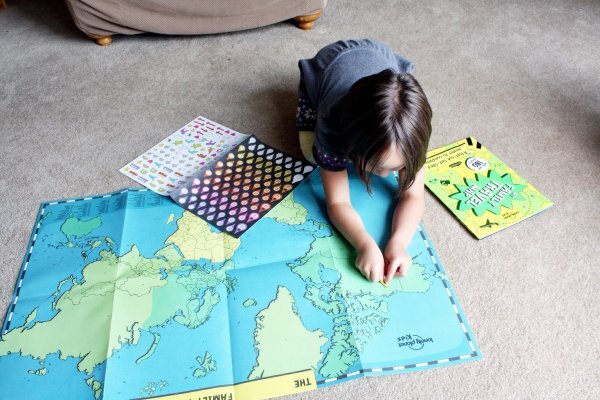 My Family Travel Map (ARV $15US): introduce kids to the wonders of traveling with this interactive fold-out map. The map includes travel, weather, emotion and sightseeing stickers as well as stickers that say ‘been here’, ‘going here soon’ and ‘I live here’. The status stickers come in six different colours so everyone in the family can place their marks where they’ve traveled. A favourite piece to this map is the back side where there is a short write up on each of the 226 countries listed and includes a number so you can match it to the country on the front of the map. Our five year old is adding the ‘where I live’ sticker to the map. This is a great way to teach kids about the world and their location in it. 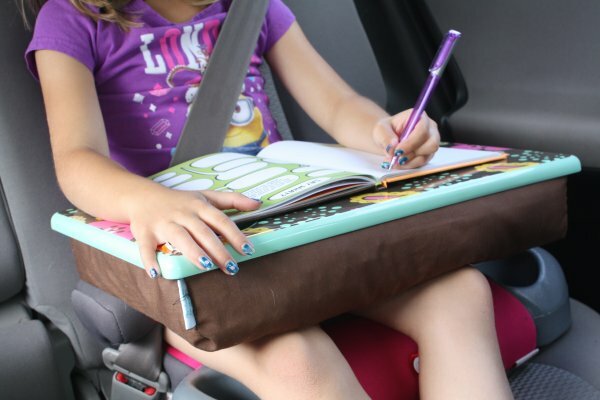 A travel table gives kids access to more activities while strapped in and seated in the car for hours on end. Kids can colour, read, bead, play games and more by simply having access to something flat that can comfortably sit across their legs. A lap desk is a great item to have in the car. Kids can write, eat, colour, do crafts and more. This travel table is originally from a company called Room It Up but I found it at my local Value Village at a huge discount.